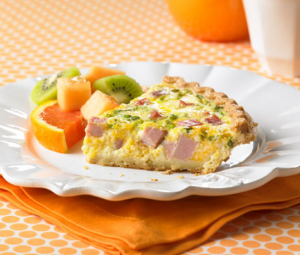 In 1986, Jennie-O Foods, Inc. was purchased by Hormel Foods Corporation. 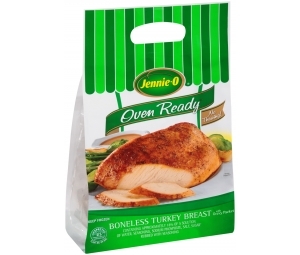 In 2001, The Turkey Store Company is purchased by Hormel Foods Corporation and merged with Jennie-O Foods to become the brand you know today—Jennie-O Turkey Store. What began as the visions of two entrepreneurs has turned into one of the world’s largest processors and marketers of turkey products. 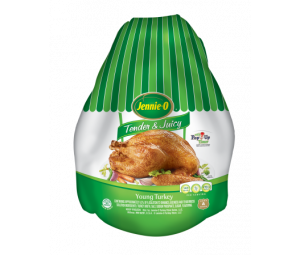 1953: Earl converts Farmer's Produce Company to a USDA-inspected turkey plant and names the brand JENNIE-O®—after his daughter, Jennifer. 1954: Farmer's Produce Company purchases a second plant and seeks international distribution. A third plant is purchased in 1966. 1963: Earl's son, Charles, joins the sales staff and becomes president in 1974. 1971: Farmer's Produce Company changes name to Jennie-O Foods, Inc.
1984: Jennie-O Foods, Inc. is among the first to develop the turkey hot dog, using a top-secret seasoning recipe and a custom-built, continuous oven stretching 100-feet long. 1986: Jennie-O Foods, Inc. is purchased by Hormel Foods Corporation. 1937: Wallace moves his hatchery business and becomes Jerome Hatchery. 1946: Wallace forms Jerome Farms, Inc.
1950: Wallace purchases a second plant and names it Badger Turkey Industries. In 1957 this facility is the first federally inspected, cooked-turkey processing plant in Wisconsin. 1974: Wallace’s son, Jerry, joins the company as executive vice president, and becomes president in 1980. 1984: THE TURKEY STORE® brand is introduced. 1998: Jerome Foods, Inc. changes name to The Turkey Store Company. 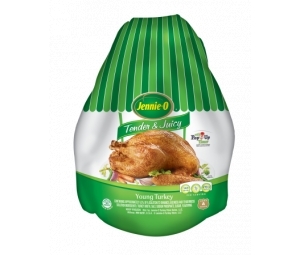 2001: The Turkey Store Company is purchased by Hormel Foods Corporation and merged with Jennie-O Foods creating Jennie-O Turkey Store.